Bernie describes the first time he heard "GATW," and it reminded me of how cool it is that music—our favorite music—can serve as such a perfect time machine. It takes us back in time, and we may remember what we were doing and where we heard it. Bernie, I bet you remember the moment just as well now as when you wrote your thread-starting post in May 2002. The thread inspired 18 replies, and the memories are relatable, for sure. We hear from a number of recognizable EC.com members, including Jenn (AggiesJC), Darlene, Craig, Dave (LobsterLvr), and others. Special mention goes to Russberry, an Australian, who reveals a pretty "personal" moment that coincided with "Go All the Way." I hadn't ever read Russ's post until now, but... wow! Hey, what else would you be doing while listening to that song...? Isn't it fascinating how many fans discovered the Raspberries several years after they were no longer together? I´d never heard of them until after they broke up. The only song the radio played of theirs in Columbus was "I Wanna Be With You". I knew the song, but not the group. 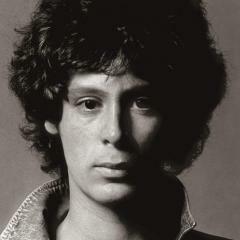 I discovered them by back tracking after falling in love with Eric Carmen´s first album. I then bought the "Raspberries Best, Featuring Eric Carmen" and was FLOORED at the quality of songs wall to wall on that album. I then back tracked some more and bought all 4 studio albums. 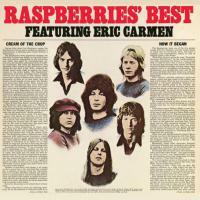 I´d suspect there are many more like me, who discovered Raspberries through Eric Carmen´s solo career. The Raspberries probably owe Eric´s solo career a greater debt than most of us realize. James, that is a great point. Eric’s quick solo success really put Raspberries on the map for a lot of us. I loved “Go All the Way” as one great and irresistible single but it was “All By Myself” that sent me back to give the rest of the first Raspberries LP a listen—and, yes, even to flip the record over and discover the epic “I Can Remember” (which at this age and stage has a lot more to connect with than it did at 17). I'm in the same boat (so to speak) as you James. 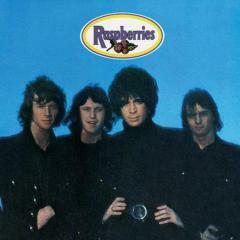 I found out about "Raspberries" from another site that Eric Carmen and I were friends on. 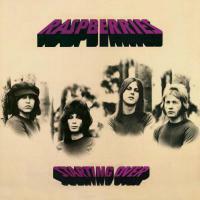 I was kind of too young back then for "Raspberries" but do recall hearing Go All The Way on the radio. But...I knew of Eric's music and from there that's how I was, so called introduced to Raspberries stuff. P.S I'd like to just say "you guys are doing a real fine job keeping the posts up" Thank-you. And of course, the greatest addendum to this story was my brother came with me to see Raspberries play at B.B. King's. After the show, we went backstage, and my brother had something he wanted Eric to sign for him. It was THE ACTUAL LP he was playing in his room when I heard "Go All The Way" for the first time. We related the story to Eric, who then signed my brother's LP: "To Jim, If not for your impeccable taste in music... Eric"
Great story, and a fitting way to thank your bro!